Vehicles such as the Nissan Leaf are increasingly common in Germany. MUNICH -- Germany leapfrogged Norway as Europe's biggest market for electrified cars, a sign that consumers are warming to the technology just as Volkswagen Group and Daimler ready models to take on Tesla. 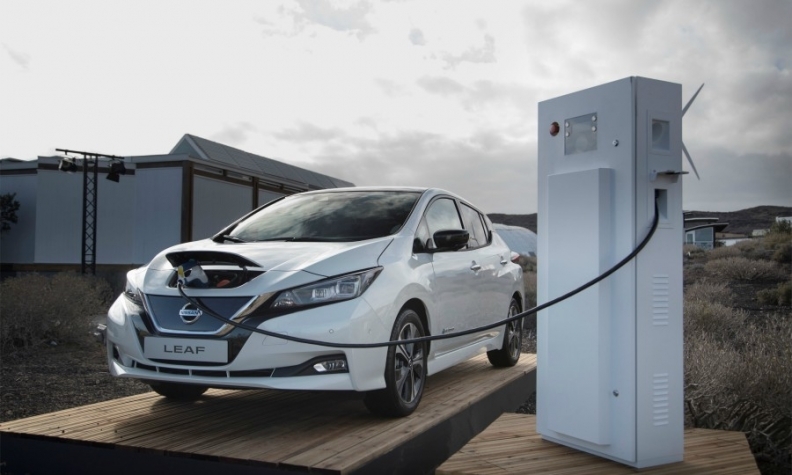 Sales of electrified vehicles surged 70 percent in Germany to 17,574 cars in the first quarter, nudging ahead of Norway for the first time, according to data from European industry association ACEA. The figure includes full-electric cars such as Tesla's Model S, as well as plug-in hybrids such as the BMW 2-series Active Tourer. VW, Daimler and BMW are retooling their assembly lines in response to stricter European regulations on combustion engines and fallout from the 2015 VW emissions-cheating scandal. While consumers have turned away from diesel -- especially in Germany -- automakers are depending on customers to embrace electrified powertrains if they are to recover the massive investments they are making. Across Europe, sales of electrified vehicles advanced 41 percent, with full-electric cars up 35 percent and plug-in hybrids up 47 percent, while diesel in the EU dropped 17 percent. Germany, the region's biggest single market, has until now trailed Norway, which jumpstarted electrified sales with generous subsidies. Norway is Tesla's third-biggest market after the U.S. and China. Once rare in Germany, Teslas have become increasingly common on the streets of cities such as Munich, alongside other fully-electric models like BMW's i3 and the Nissan Leaf. Still, the California company ranked 31st in the country in 2017, well behind Volkswagen, Mercedes, BMW and Audi, the country's dominant brands. While the Germans have an advantage in Europe, their next challenge as the market for electrified vehicles expands will be to prove to consumers in the U.S. and China that their products are superior. Elon Musk's recent troubles with Model 3 production issues and quality reviews, may have opened a door.